"Every real thought on any real subject knocks the wind out of somebody or other," wrote Dr. Holmes many years ago, and when the sufferer gets his breath he begins the "back-talk"; but it is not at all likely that the pulpits of Detroit will resound today with anything like the vigorous whacks which fell upon them after Kananda's first visit. The provocation, if such it can be called, which he gave a week ago in his lecture of two hours and a half, was greater than on the occasion of his former appearance, and this last address was professedly and openly in response to statements which had been made while the missionary convention was in session here, and it is reckoned the ablest of all his discourses in Detroit; nevertheless the chances are a good many to one that the clergymen hereabouts will not with one accord this time stand up and reply in any very vehement manner. 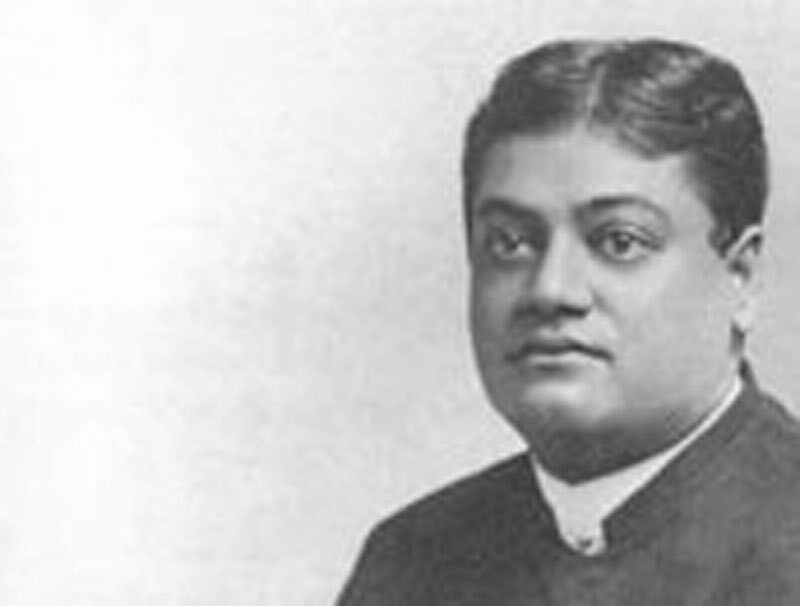 It is more than probable that the placid Hindu has taught us a lesson and that the fruit of all his work here will be a broadening of our sympathies and some enlargement of our ability to comprehend views upon important subjects that are quite out of the beaten path in which our thoughts and opinions have been accustomed to travel. From hearing what an intelligent Hindu like Kananda has to say of the religion of his country it is no more necessary to adopt that religion than it is to worship Zeus and Apollo as a result of studying the theology of the Greeks. Kananda is not a Buddhist, but if an educated priest of Buddhism should come along and be willing to tell us mote than we knew before of the faith that has the largest following of any in the world, it would surely not be beneath the dignity of a scholar of the nineteenth century to listen patiently to what he had to say. The Mohammedans at one time led the world in learning and scientific attainments. If an Arabian disciple of Mohammed, fit to instruct in his religion, should crave audience of our people, it might be very safe and profitable to listen to him. The old Shinto religion of Japan has held the belief of myriads of men with intellects pretty nearly as acute as ours; would it be likely to damage our spiritual perceptions to hear a Shinto priest explain it? We seem to be in some danger of taking a one-sided view of our own position and that of persons from whom we differ. There appears to be no question of politeness or propriety when we go to the people of Asia in their own stand and beg to assure them that they have been following a vain shadow for several thousand years and that if they do not accept our new religion in place of their old religion they will find themselves booked for something decidedly uncomfortable in the next world; but we do not recognize the right of every person to preach his own religion quite so clearly when it is the man from Asia who comes to us. There is no finer test of intellectual strength than the willingness to receive and consider the well-digested thoughts of all the people under the sun. The horizon of religious toleration stretches further and further away every year. Twelve months from now it is not at all likely that Kananda's coming to Detroit and talking to people who might choose to hear him would shake the churches from center to circumference or agitate the clergymen at all. It is not easy to see any sufficient reason why it should have done so at any time. While not many persons are greatly concerned about the Hindu's theology, there are members who feel thankful for the fresh encouragement that has been given to the spirit of toleration.